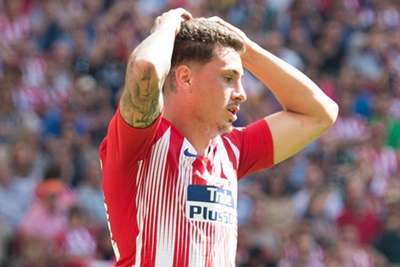 Atletico Madrid have confirmed Jose Gimenez picked up a thigh problem in the LaLiga clash with Villarreal on Saturday. The defender was hurt during the 1-1 draw but played the full 90 minutes as Mario Gaspar's 65th-minute strike cancelled out Filipe Luis' opener for Atletico. 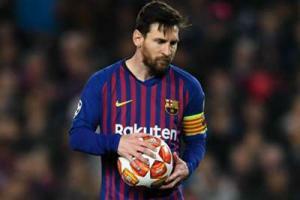 Gimenez was unable to train with the rest of his team-mates on Monday due to what his club described as "sciatic nerve elongation" in his thigh. Atletico - who travel to Borussia Dortmund in Champions League action on Wednesday - are awaiting further medical assessment on the injury and did not offer a timeframe for the centre-back's absence. The Uruguay international only returned from a hamstring injury at the weekend after sitting out the league fixture against Real Betis on October 7.